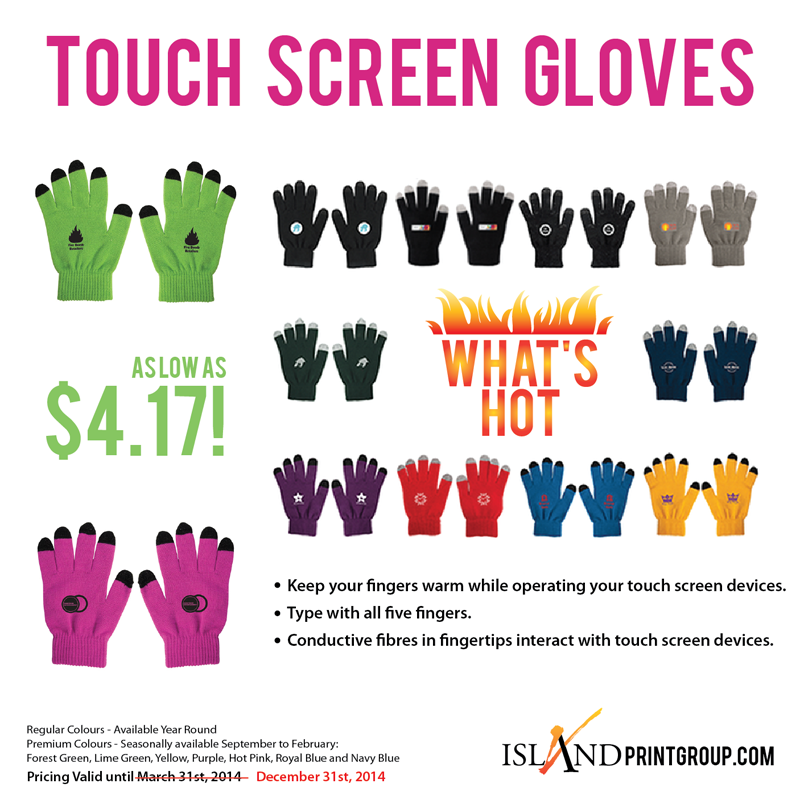 Recently, the promotional products world exploded with technology. From awesome items like blue tooth speakers, USB chargers, touch screen stylus pens and more, technology related promotional products are hot commodities these days. 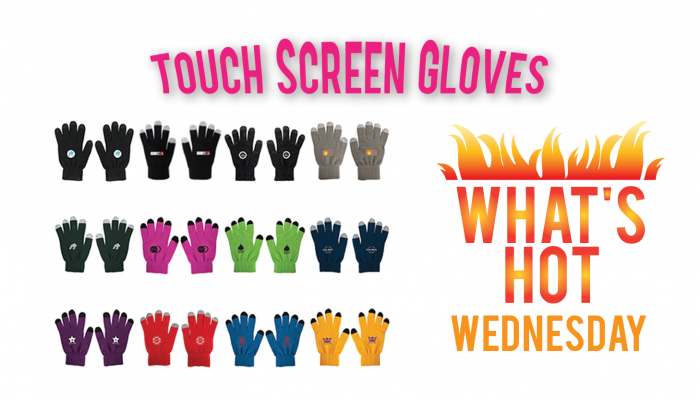 I first came across touch screen gloves around November of last year. I was shopping for Christmas gifts and came across a pair of gloves similar to these. I love these, and knew they’d be the perfect gift for someone on my list. The only drawbacks were that they only came in black with white fingertips and they only had a finger and thumb that you could use on the screen. If you want Forest Green, Lime Green, Yellow, Purple, Hot Pink, Royal Blue or Navy Blue – you’d better act fast. Those colours are only available until the end of February! What colour would you choose for your brand/business?